The new blessings of climate change for the palm oil industry. Climate change mitigation measures are bringing surprising new opportunities and benefits to the palm oil industry – strengthening the bottom line and nudging it towards a more positive image. Although climate change supporters continue to highlight the shortcomings regarding practices of the palm oil industry this has not deterred the world demand for palm oil from growing. Ironically today it is the same “climate change” call, that has surprisingly turned the industry into a beacon of hope. Among a barrage of measures climate change is driving, one is for traditional fuels to be replaced, at least partially, by biofuels as a source of clean energy to reduce carbon emissions. And it is this growing world demand for biofuels that has today made the world realise that the palm oil industry is not all bad news. Nay, it may well hold an important key to combat global warming. Highest oil yield per hectare of land use among oil crops. Highest residual biomass yield delivered at the mill doorstep for processing, thereby saving on the need, cost and carbon emissions of separately collecting and transporting the biomass. Spotlight turned on the oft-neglected aspects of energy usage and energy efficiency at palm oil mills indicating a high potential for clean energy. Potential to attain a near-zero carbon footprint of palm oil production. 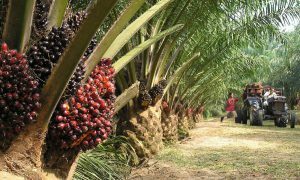 Oil palm crop efficiency. As mentioned above, oil palm has the highest yield of any oil crop and is the cheapest vegetable oil to produce and refine. It is an efficient crop, yielding up to ten times more oil per hectare than soybeans, rapeseed or sunflowers. On 5% of the world’s vegetable-oil farmland, it produces 38% of output, more than any of these other crops. Any substitute would need more land and the land use change has a large impact on carbon emissions incurring a higher carbon footprint and negative climate change impact. Volume of palm biomass. 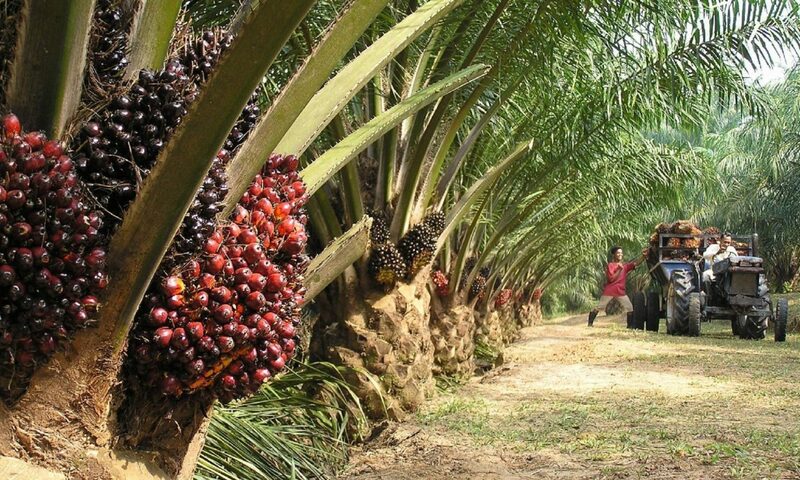 The oil palm fruit is unique compared with other edible oils crops in that it produces a vast amount of biomass residue at the mill – from mesocarp fibre to palm kernel shell to empty fruit bunches and biogas. The high crop yield per hectare further augments the residual biomass yield. In Malaysia, it is estimated that the oil palm industry generates about 80% of the total available biomass in the country. Efficiency of energy usage at the mill. Energy usage at a potentially high efficiency level for the palm oil extraction process at the mill could liberate for export significantly large amounts of surplus clean energy and biomass for use elsewhere. In addition, the Cogeneration (Combined Heat and Power, CHP) system used at palm oil mills can be optimised for power output to further improve energy efficiency at the mills to export more power. Near-zero carbon footprint palm products. The exported power and biomass can be used to displace fossil fuel burning elsewhere, thereby off setting the carbon emissions of palm oil production. These would culminate in a reduction of the carbon footprint of palm products to near-zero when combined with conducive upstream agricultural practices. Recognition of the above plus points has created new opportunities for market expansion and increased revenue for palm oil companies, that is, greater economic success. However in Malaysia, it has not taken off as well as it could. A lot of potential remains untapped. We’re still unable to qualify as a low-carbon biofuel to take advantage of the biofuel quota mandate in the EU and US, which would boost the demand for made-in-Malaysia biofuels, internationally as well as domestically. Malaysia has not yet successfully qualified for reserved biofuels quota primarily because it is unable to comply with the qualifying conditions. In order to qualify, among other conditions, palm oil producers need to show that the carbon footprint (lifecycle analysis) of palm biofuel / biodiesel is at least 20% to 35% lower than that of fossil fuels they are meant to replace. As such, for the time being we can only compete in the open market in the EU and US based on the price differential with fossil fuel. But the good news is that these potentials CAN be put within reach quite easily – reason being we are not that far off in the first place. In Europe, any biofuel used in diesel mixtures to participate in the mandated quota must offer a 35% carbon reduction according to life-cycle analysis, whereas palm biodiesel only offers 19%. So at present we are unable to penetrate the European mandated market. However, this trend can be reversed using available innovative technology which has the potential to actually bring about a further reduction of more than 35%. The technology even has the potential to give 2nd generation biofuels a run for their money. In the case of the US, the U.S. Environmental Protection Agency EPA has ruled that Malaysian palm oil biodiesel does not qualify for renewable fuel substitution market because it can only reduce lifecycle GHG emissions by 17%. EPA requires at least a 20% reduction to qualify for its renewable fuel mandatory quota. This means in the case of the US, we only need to qualify for a further mere 3% reduction in lifecycle GHG emissions to qualify for its quotas. Here is where the strength of our technology comes in – its transformative ability to lower the carbon footprint of palm oil production significantly compared with existing levels. The proposed innovative technology may be a small step for the mill but a giant leap for the industry. The technology proposed is relatively new but being a drop-in retrofit application, it is practical with minimum disruption to palm oil mill operations. With an investment payback period of 1-4 years and an IRR ranging from 20% to 90%, it would certainly be worth exploring based on these economic parameters alone. But this technology offers much more, that is, a gateway to qualify for the, till now elusive, reserved and lucrative biofuel markets. It must be conceded that the larger palm oil companies have been pursuing sustainable practices in the agricultural aspects for some time, such as, opting to plant in degraded land, and staying away from forests and peat soil. The next logical step would be to look at energy efficiency at the mills to optimise the clean energy potential of biomass residue. It is encouraging to note that more and more plantation companies are embracing sustainability as a long term process and openly welcoming partnerships with others towards this end, especially in those areas where niche expertise is not available within the company. 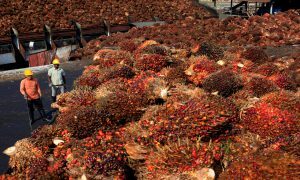 This article re-looks at some of the current engineering practices in palm oil mills. Our vision should be that in future all palm oil mills are redesigned to be energy-efficient as this will enhance sustainability through several channels, namely savings in fuel oil, harvesting of surplus biomass, and supply of heat and power to utilities or general industries. 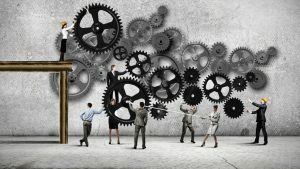 But the good news is that profitability need not be compromised. In fact there is even more money to be made from the sources mentioned above as well as successful entry into the biofuels markets. We are the last generation that can fight climate change. We have a duty to act.